It's officially spring which means flowers are blooming everywhere. Let's get some of those blooms inside too. It's time to make your own Flower Sun Catchers. 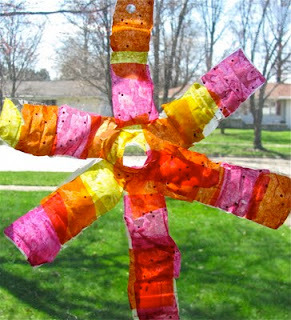 This craft is easy to do with your child and lets you recycle too! Only a few arts and crafts staples are needed (empty plastic water bottle, colorful tissue paper, glue, a paint brush, and string or yarn). Just follow this easy tutorial from The Chocolate Muffin Tree blog. Your child will love displaying his or her work on your windows! 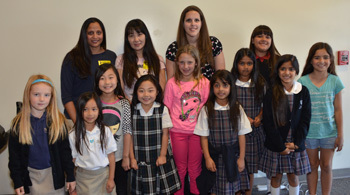 This year, Fairmont's summer program has taken its inspiration from fairy tales. From Jack in the Beanstalk to the Princess and the Pea, we let our imaginations take us far, far away on a journey to a world compete with knights-in-shining-armor, fire-breathing dragons and, of course, princesses. The story of how Fairmont Private Schools came into being back in 1953 is a kind of fairy tale. There was a humble schoolteacher with a big dream. He worked long and hard and found lots of other great teachers along the way who shared his dream. Sixty years later and Fairmont Private Schools is now educating bright, imaginative, courageous kids in Southern California and all over the world. 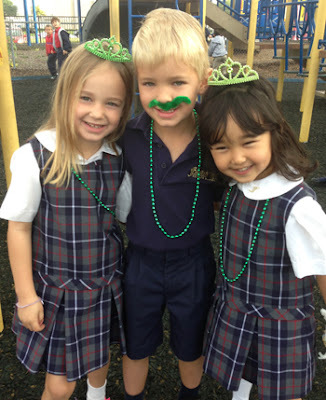 It's a happily-ever-after story that continues this summer at Fairmont Private Schools. Whether you enroll in our incredible summer program or create your own DIY summer camp at home, we think you'll love these five fairy tale activities, for more inspiration head to Fairmont's Once Upon a Time Pinterest board. There are few things I enjoy more than gardening with my three children. I was delighted when Fairmont added gardening to the early childhood curriculum. If you've ever spent a few minutes gardening with kids, you'll soon discover that it's an incredible activity for supporting any number of learning objectives (from science and math to literature and creative writing) as well as a great way to teach children to work together. In my experience, children who may be shy and reluctant to speak out in class "blossom" in the garden. Kids love being out in the fresh air and sunshine. They enjoy the physical work that goes along with watering, weeding, planting and cultivating a garden. And it's so rewarding for them to experience the progression of the garden...seed, sprout, plant, flower, fruit. I grew up in and around a garden, but you don't have to have gardening genes to be successful at creating a family-friendly garden. It's surprisingly simple, inexpensive and you don't need lots of space. In fact, a container garden is a great way to get started if you've never planted a garden before. Here are some of my favorite tips and resources for gardening with kids--happy planting! Start small--It's easy to get carried away when you visit the garden center and see all of the amazing flowers, veggies, trees, shrubs and seeds for sale. Temper your enthusiasm to do too much, especially if you want to get your kids involved. Take conditions into consideration--Plants are living things and they need the right conditions (light, water, soil) to thrive. I'd suggest purchasing a Sunset Western Garden Guide to serve as your basic guide for selecting and caring for plants that work given your garden's conditions. Veggies need lots of sun and water, but there are other plants that love shade and many that are water-wise after a year of becoming established in the soil. 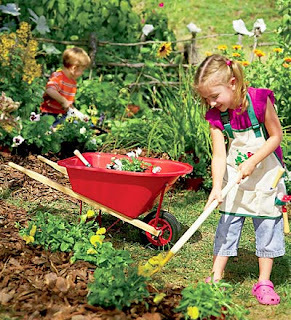 Buy kid-sized tools--Children will enjoy working in the garden more when they have the right tools, plus they're super cute! I like the picks from Life on the Balcony. Use seeds and seedlings--Many plants are fun and easy for kids to start as seeds. I like working with larger seeds when kids are involved (sunflower, squash, pumpkin, melons, beans, peas and nasturtium) since they are easier for children to hold. Radish and carrot seeds are small, but kids can sprinkle them directly into garden soil. Tomato and pepper plants may be easier to purchase and plant as seedlings since their seeds are teeny tiny. For help picking plants that play nice together, refer to this handy companion planting chart. Get creative with containers--Container gardening is often less intimidating for new gardeners. Containers require less space and you don't need a lot of prep before you can get started planting. There are so many clever container garden ideas. One of my favorites is a vertical garden you create by recycling a shipping pallet. Have fun with critters--You may find your garden attracts ladybugs, butterflies, birds, worms and more. 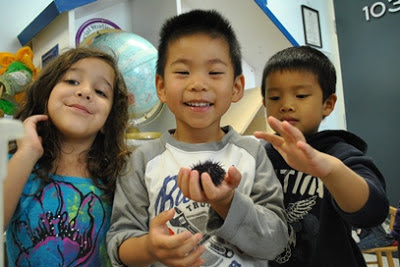 Make learning about the creatures in your garden part of the fun. You can encourage beneficial insects by planting plants that attract them. Eat what you grow--It's a proven fact that kids are more likely to eat their veggies when they've been involved in growing them. Watch the Edible Schoolyard segment from Growing a Greener World for inspiration--these school kids are really getting a hands-on lesson on where their food comes from. Start a garden reading list--There are some wonderful children's books about seasons, seeds, gardening, etc. that will help educate and excite your children about their garden. I love The Gardener by Sarah Stewart and The Curious Garden by Peter Brown. The Academy of Nutrition and Dietetics has designated March as the time to focus on the importance of making informed food choices and developing good eating and physical activity habits. 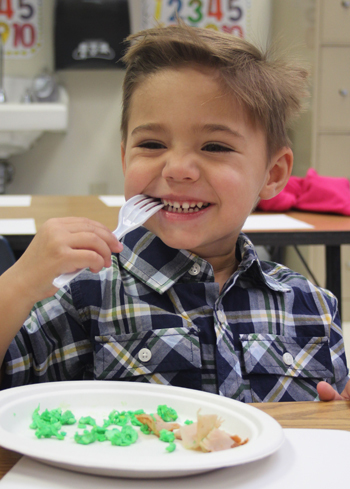 This year's theme, "Eat Right, Your Way, Every Day”, is intended to encourage personalized healthy eating styles. What does “eating right” mean to you? Does it mean eating breakfast even though you’re in a hurry? Does it mean eating a healthy school lunch, or maybe eating a few more vegetables at dinnertime? Or less dessert? Think about what eating right means to you and identify at least one way you can improve on your eating habits. Eating “your way” might mean including foods particularly familiar to you such as the foods you grew up with or that are passed along through family tradition. Not everyone might enjoy tofu or sushi or turkey! We are unique individuals with different tastes and varied likes and dislikes. Lifestyle choices, cultural and ethnic traditions impact our food choices. Eating your way includes embracing foods that are unique to you. Think about a food that is unique to you or your family. Accept and embrace that uniqueness! Eat right, Your Way, Every Day. How do you eat right, your way, "every day"? First, realize that it’s not one food or one meal that makes or breaks a balanced diet. Its about learning how to eat a variety of foods including the ones you love, in moderation, to create an overall healthful eating plan tailored to your lifestyle, traditions, and health needs. Being aware of what you eat is the first step towards making a change. 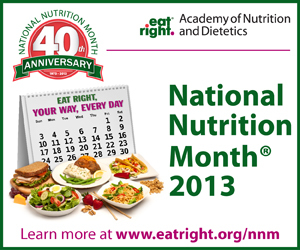 Celebrate National Nutrition Month with your personal choice and make it a great plate. I know what you're thinking...it's not officially spring yet, so it's much too soon to start thinking about summer! 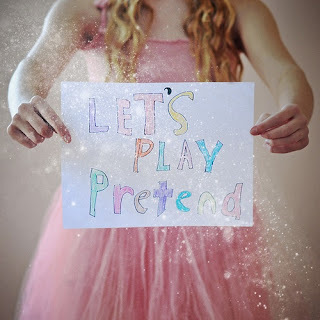 I guess that depends upon who you are. Most of our students here at Fairmont think it's NEVER too soon to start thinking about summer. And Fairmont Summer Programs' staff have summer on the brain all year long, dreaming up ways to make summer break fun, exciting, and educational for the children who attend Fairmont's camp, school and enrichment workshops. Studies show that today's kids need more practice using their imagination, developing their creativity, and strengthening their relationships with others. These skills are must-haves for the big, wide 21st century world where our children are headed one day. In addition to building academic skills and confidence, Fairmont's summer programs help kids think beyond the textbook and learn how to connect with others. If you're just warming up to the idea of planning your kids' summer schedule, visit fairmontsummerprograms.com for all the details about Fairmont Summer Programs. Fairmont offers flexible scheduling to suit the needs of busy families with programs at all four of Fairmont's Orange County campus locations. Enroll before April 30th, and you can take advantage of 10%-off summer camp and summer school! This Tuesday, North Tustin third graders embarked on a brand new field trip to ENC (Environmental Nature Center) in Newport Beach. When we arrived, we were welcomed by three naturalists and students were divided into three different fauna groups: Coyotes, Bobcats & Hawks. Students traveled to six different hands-on activities on the gorgeous ENC property, which spanned a couple of acres behind the facility. Although we were a little cold with the cloud coverage, being outdoors was a fresh change to their traditional classroom environment. All the interactive games/lessons the ENC prepared reinforced our Science curriculum perfectly. Students learned about adaptation for plants and animals, but especially about the local cougar that can be found in Southern California. Students also learned how humans have drastically changed the environment and how we can help protect and preserve the environment/animals around us. This was a field trip the students will never forget. 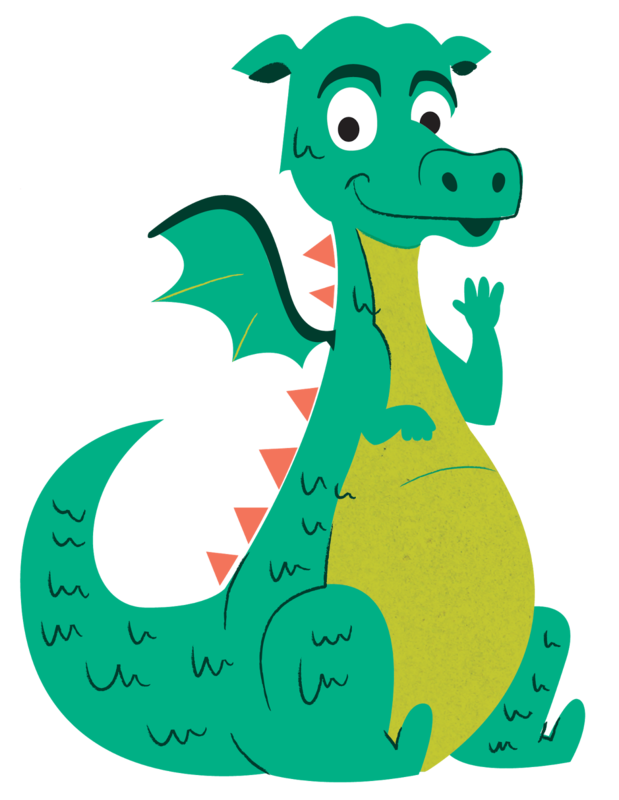 Summer Camp 2013 - Name the Mascot! Hear ye, hear ye! We are pleased to announce that the theme for our 60th Summer Program is Once Upon a Time! We're looking forward to a magical summer, and we want you to be a part of it! 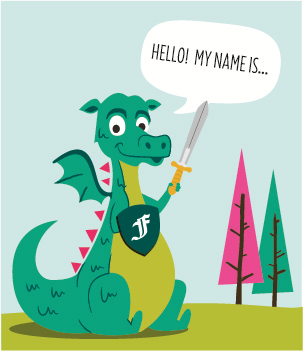 Your first opportunity to join in the fun is to help us name our Dragon mascot! 5. 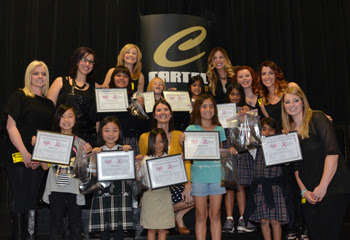 The winner(s) will receive a free week of Summer Camp! Waiting around for spring is kind of like waiting for water to boil or the mail to come or your favorite aunt to come over for a visit. Except that here in Southern California we have weather that seems almost like spring all year long. We're blessed with the mildest of winters, still there's something amazing about the first buds of springtime. 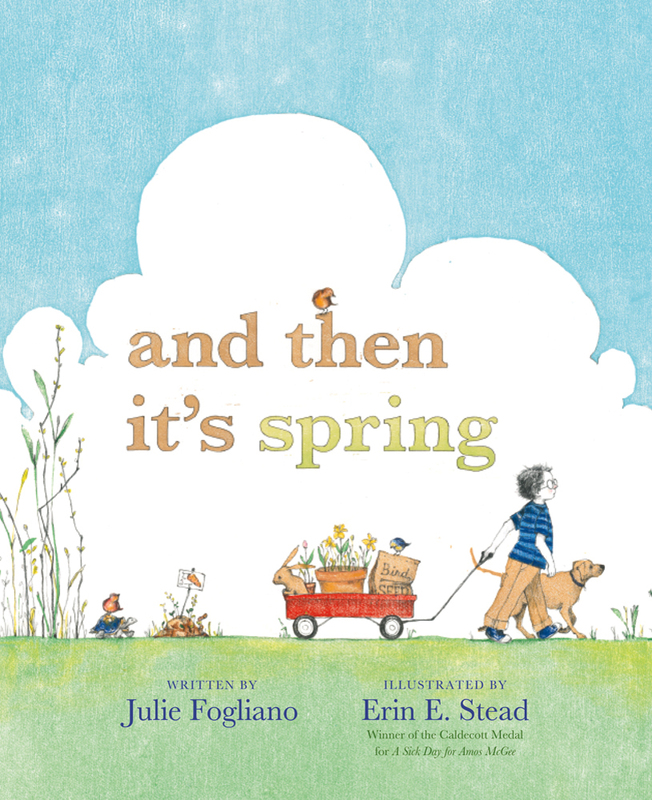 That's what Julie Fogliano's book, And Then It's Spring, is all about. The waiting...and the joy when spring shows up. In the story, a boy and his dog have had enough of the brown of winter and decide to do something about it. They plant a garden, seed by seed. Then, they and their animal friends wait, and wait, and wait to see what happens. The story is simple but made poignant by the distinctive illustrations of Erin E. Stead, recipient of the 2011 Caldecott Medal. 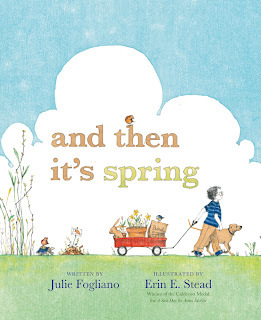 This award-winning book teaches patience and perseverance and it connects children with the comforting rhythm of the seasons. It's the perfect prelude to starting a spring garden of your own! Fairmont is known for its basketball program at both the elementary/junior high and high school levels. This year was no exception, with our campus teams dominating in games throughout the season. 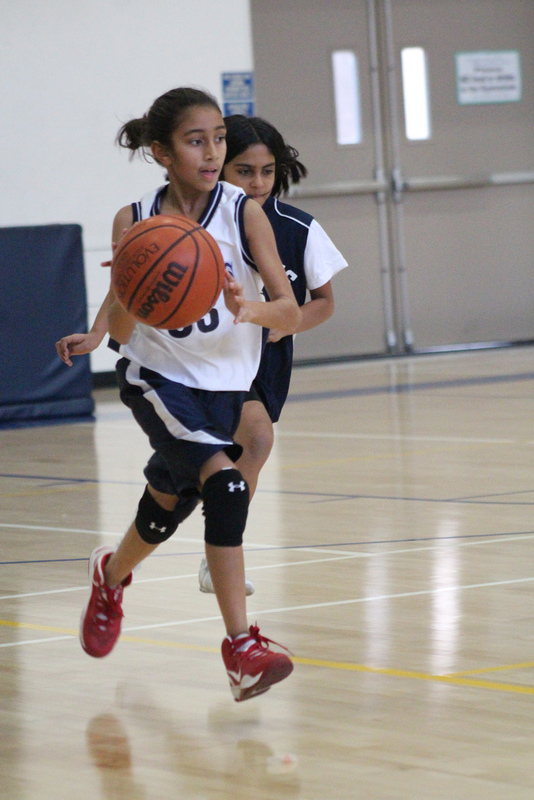 At the elementary level, our teams compete in the Developmental Sports League (DSL) against local private schools. All six of our campus teams played extremely well and two campuses made it to the playoffs. In the end, our Historic Anaheim Lady Panthers took the win and finished the season as Undefeated League Champions! At the junior high level, Fairmont's teams compete in the Tri-Way Sports League against other private schools. This was an exceptional year for our Tri-Way teams, with all of our teams making it to the playoffs! 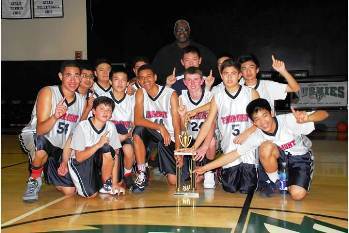 The Historic Anaheim Campus Boys' Team made it all the way to the Finals and finished the season as Undefeated League Champions for the second year in a row! In high school, Fairmont takes basketball to a whole new level. This year we welcomed a new Boys' Basketball coach, Mr. Ray Lokar. 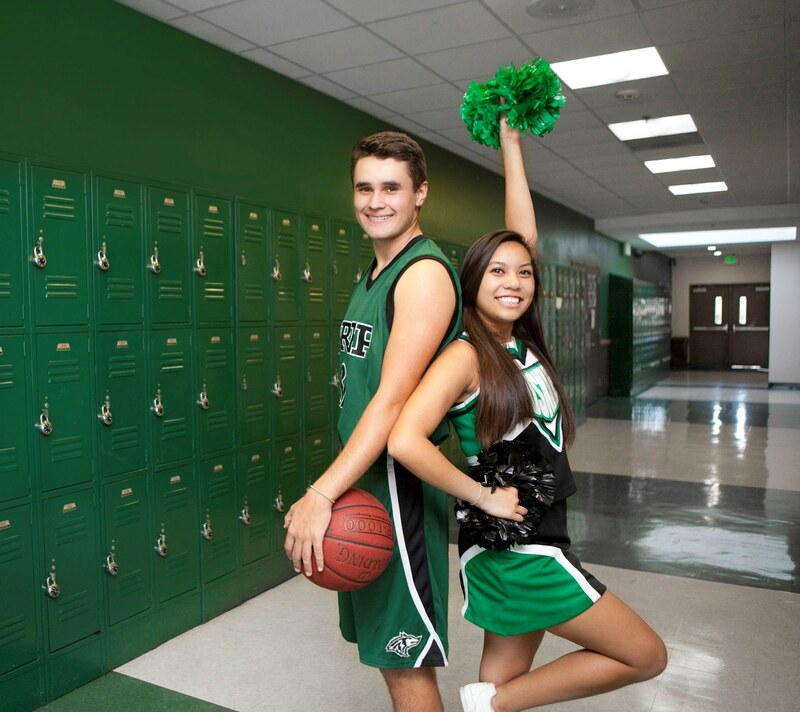 Mr. Lokar has many years of experience coaching basketball at both the high school and college level. He led our boys to victory in many games throughout the season, and our varsity team made it to the 2nd round of the league playoffs. The girls' teams continue to be coached by Mr. Dave Esparza. The girls had a winning season, securing the League Champion title and making it to the semi-finals of the CIF Playoffs! We would like to thank all of our coaches and students for a phenomenal season! Let's go Fairmont! Dish after dish of yummy, delectable food was brought into the cafeteria last Thursday morning during International Day. Each dish looked more delicious than the last - everything from eggrolls and sushi to mango lassi and Canada Dry Ginger Ale. As lunchtime grew closer, the buzz filled the hallways as students, many dressed in their native country's traditional garb, described all the different foods they would be eating shortly. When students were dismissed for lunch, they rushed to the gym to fill their plates with foods from around the world. After filling their plates, the students savored the delicacies as they ate each morsel! What a wonderful way to celebrate Fairmont's diverse culture!